For most of us an encounter with a robin in the forest will be close-up and endearing. This is because these small birds are insectivores, feeding on the forest floor and quickly associate our lumbering presence with accidental exposure of their favourite prey. So much the better if we are chopping firewood or scuffing in the leaf litter. For those familiar with the tomtit, the robins are just a bigger version, body shape and the dark plumage with pale breast are common to both of these species from the genus Petroica. 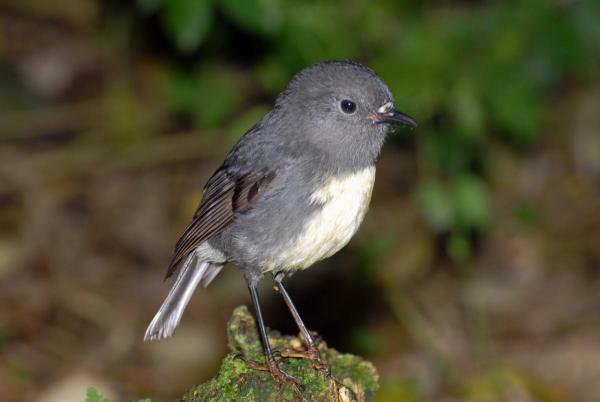 Two species of robin are recognised, one in the North Island and one in the South. Robins often nest close to the ground and in a crevice or niche that is very accessible. The patchy distribution of robins throughout the South Island tells us lots about their vulnerability to predation from rats and stoats. . Because of this they have disappeared from large areas of lowland beech forest where periodic irruptions of these mammalian predators has been so damaging. In contrast, robins may be quite common on predator-free islands or at higher altitude where predators are less abundant. Mature pine forests sometimes hold robins – perhaps because there is little in the way of fruiting plants to sustain rodents outside of the breeding season? Some people remember them being present along the coast of Abel Tasman but gradual attrition means this is no longer the case. Robins can be readily found at higher altitudes though such as the Evans Ridge, upper Wainui valley and at Harwoods Hole. In 2009 robins were re-introduced to Adele Island from which mice and stoats had been removed. 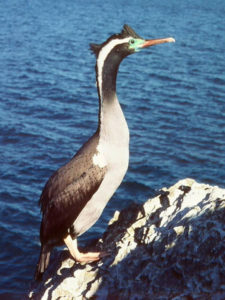 The founders of this new population came from Motuara Island in the Marlborough Sounds and (in order to ensure genetic diversity) others were transferred from Canaan. 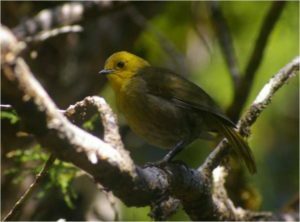 http://www.doc.govt.nz/news/media-releases/2009/robin-release-begins-restoration-of-adele-island-biodiversity/ This population is now at carrying capacity for the island with some having flown the short distance to colonise Fisherman Island. 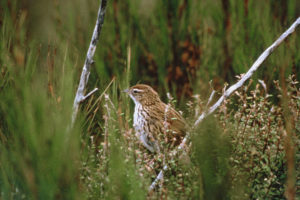 Project Janszoon and the Birdsong Trust hope that predator control on the adjacent mainland may soon allow for a translocation to Pitt Head and that, in the longer term, the environment allows them to re-establish throughout the park.